The first generation Ford Mustang available in early 1965 also known as the 64 ½ were offered in coupe (notchback or fastback in 1965) , and convertible. 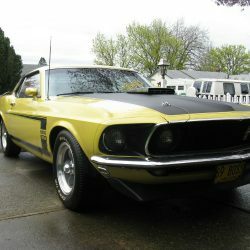 Shelby GT350, Shelby GT500, Boss 302, Boss 351, Cobra Jet, Mach 1, and KR options are available. 1st generation Mustangs are 1964 - 1973.